What could be more satisfying than a big plate of spaghetti? 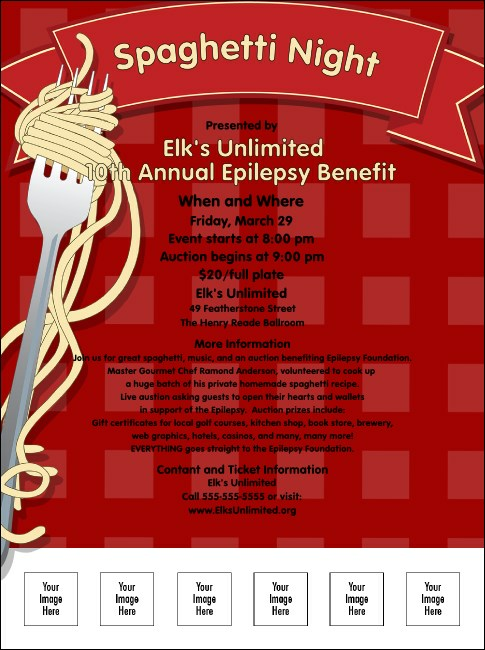 How about dozens of plates of spaghetti served to all your favorite folks, helping you raise more money for your favorite organization. Check out the Spaghetti Flyer template, part of the Spaghetti Event Kit, with the all the materials you need to serve up a tasty fundraiser.